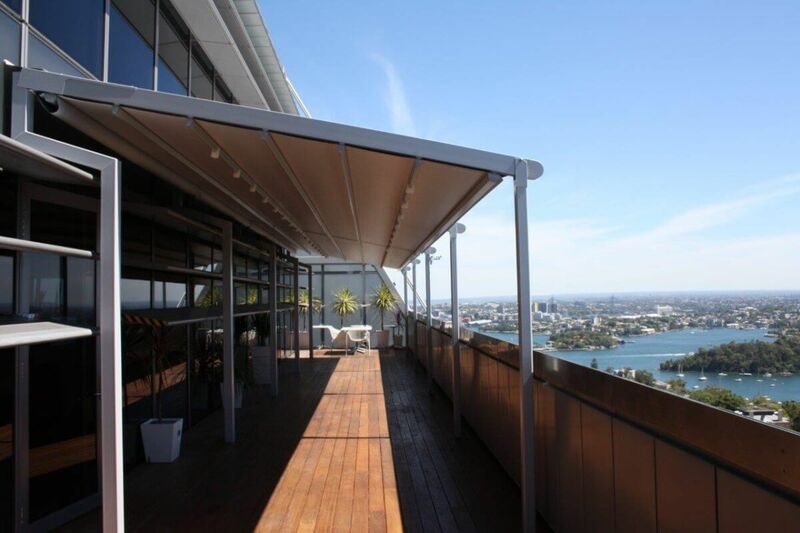 Sunteca along with our supplier Helioscreen designed and installed a custom freestanding solution for four large retractable roof systems at Coca Cola’s head office in North Sydney, to provide all weather solutions to the entertainment areas of their terraced balconies on levels 13 and 15. 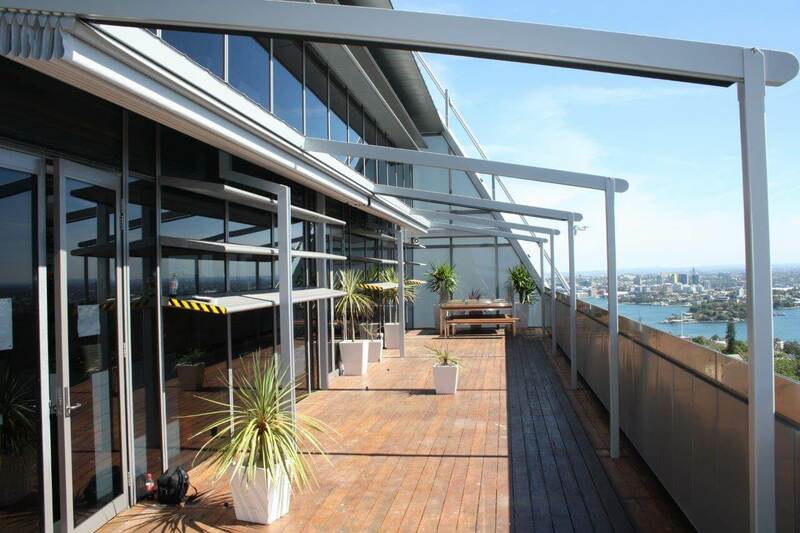 Each balcony had two coupled systems that cover an impressive 15.00mts in width each. 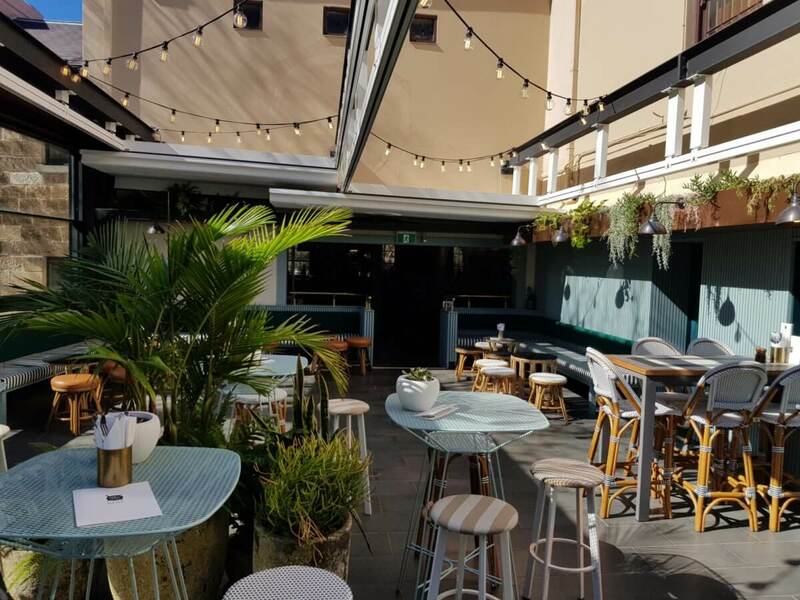 The Retractable Roof Systems and all posts were designed with access in mind and were delivered to site in parts allowing access via the goods lifts to bring the awnings in and up to the required levels without the need for a crane. Installed through the existing timber decks with steel posts anchored into the concrete sub floor using Hilti chemical anchor bolts. The custom made steel posts sit just off the glass façade that where required to work around the existing sun louvre panels. 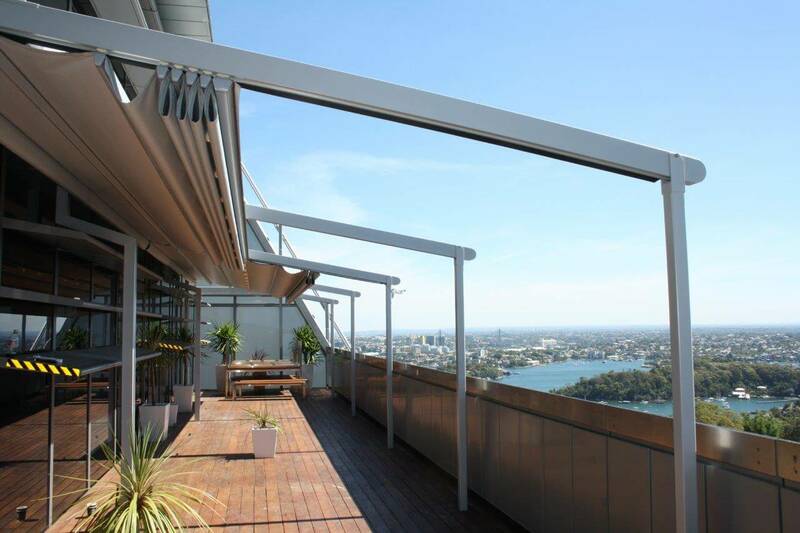 The Retractable Roof System awnings are powered by remote controlled Somfy motors. Rain sensors can also be added so as to automatically extend the awnings to protect outdoor furnisher etc. Integrated dimmable LED lighting systems were also an added feature that enables the areas to be used after dark. The staff and management of Coca Cola were impressed with the final results and are now using the areas for regular functions as well as break out areas during business hours that was restricted in the past due to strong afternoon sun or rain. 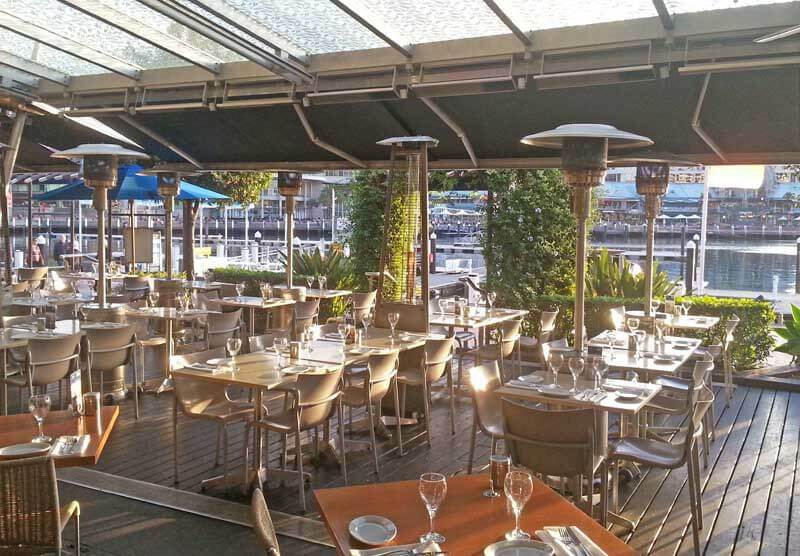 Helioscreen as well as Sunteca worked closely together on this project to produce a now useable area in all weather.